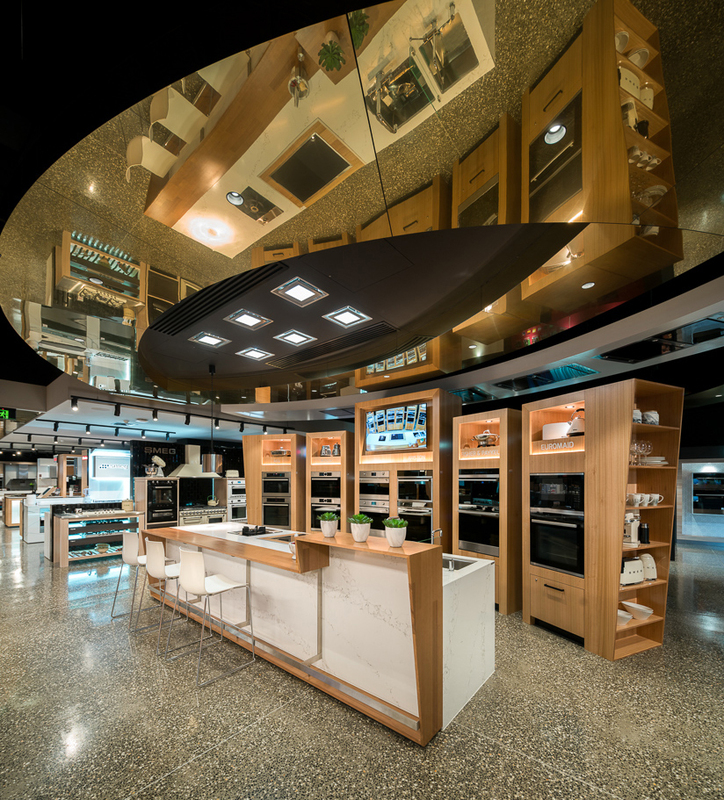 This unique cooking immersion gallery connects customers with leading edge products, helpful knowledgeable staff, detailed product information and the opportunity to experience cooking equipment ‘in use’ through the active cooking demonstration area at the heart of the cooking display zone. 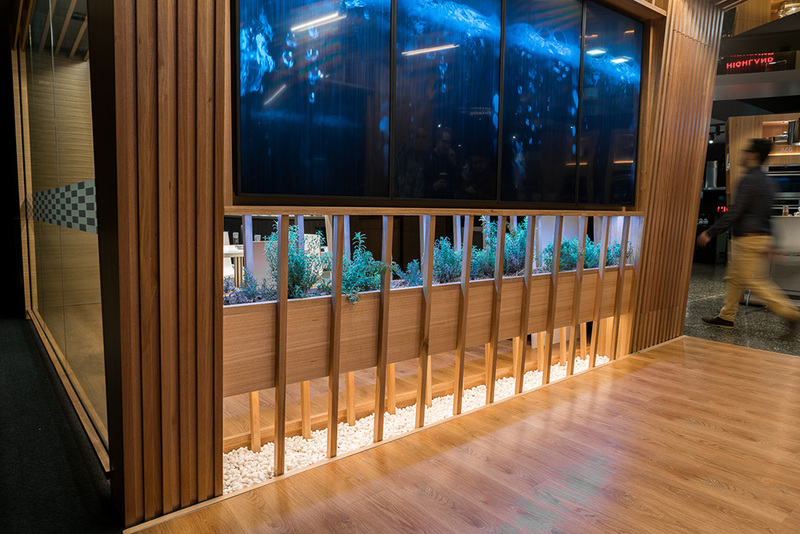 JBM Projects manufactured and installed bespoke architectural joinery items to create a showroom like no other in Australia. Working closely with a large project team to deliver the key customer interaction zones for this superbly polished retail environment. 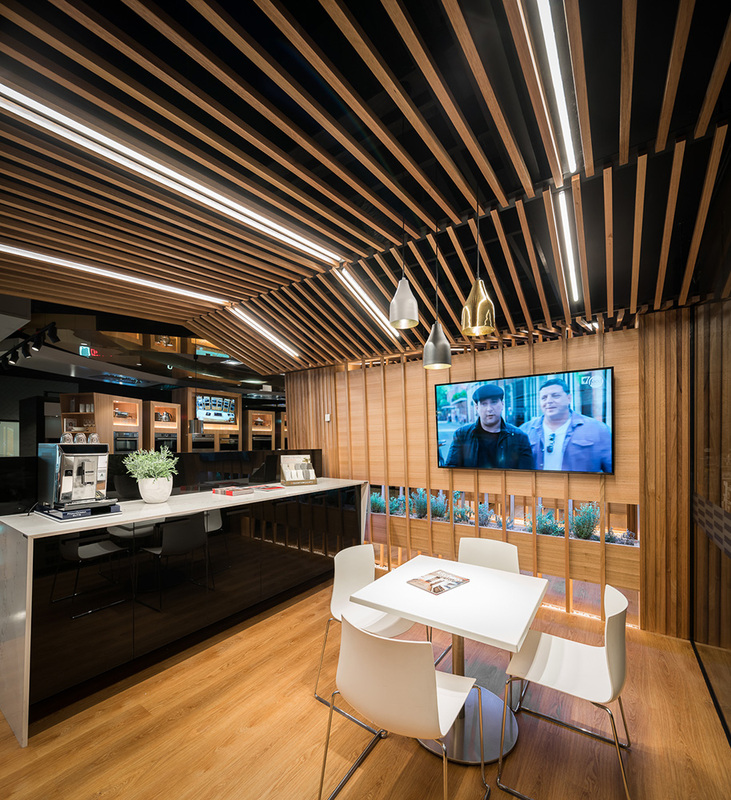 This included the timber entrance tunnel with interactive screens, external signage and lighting, bespoke timber battened feature ceilings, mirrored black acrylic ceilings and mirrored gold feature ceilings, demonstration kitchen island and oven towers, butlers pantry kitchen and point of sale terminals. 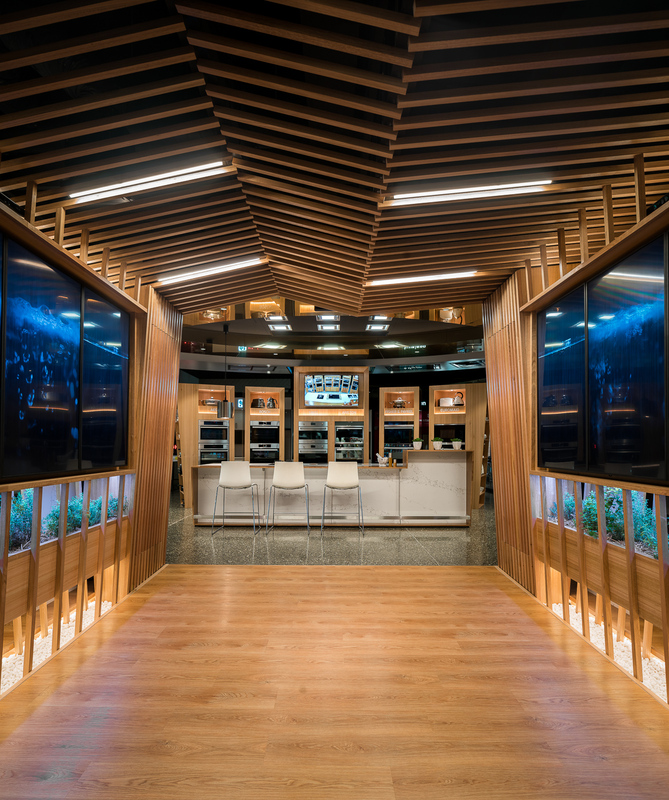 The entrance is a visual feast with a digital gallery entrance tunnel setting the scene with images and videos of cooking, appliance showcases and other multimedia presentations and a living herb garden below. 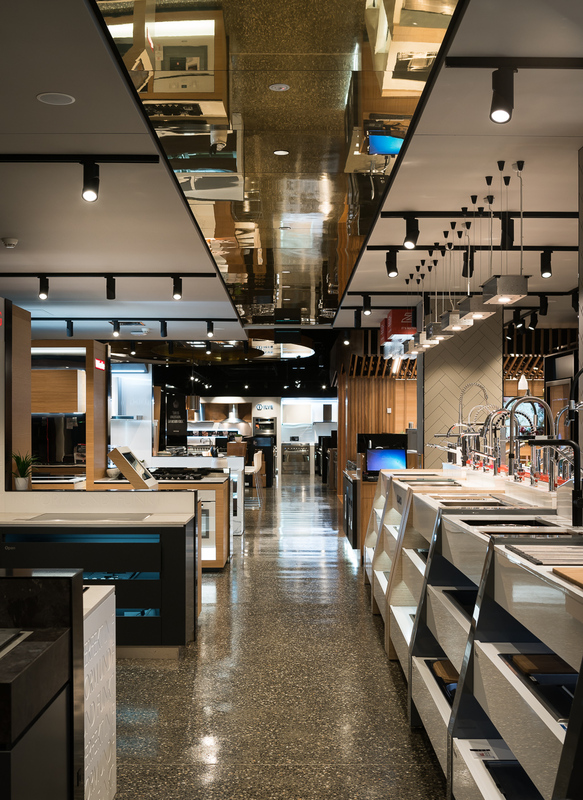 The demonstration kitchen is the epicentre of the gallery experience and includes floating oven towers that allow products and brands to be changed easily. Unique and natural finishes used throughout set the standard of quality for the gallery. All works were coordinated with the head project manager appointed by the client and several other suppliers and installers for the other kitchen brands. Maintaining constant trade through of the showroom floor adjacent to the new development was also critical to achieve.